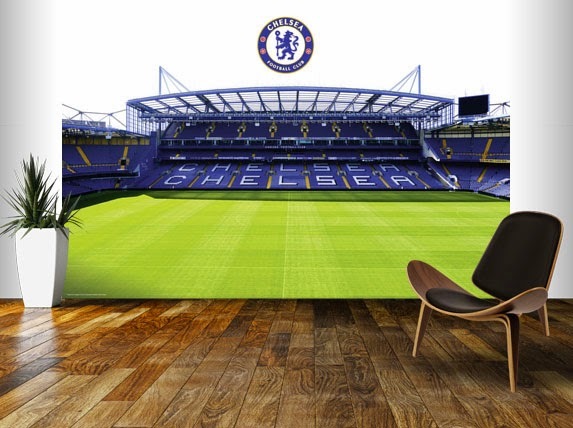 COMPETITION: Win a Chelsea FC Wall Mural worth £200!! Chelsea Daft have teamed up with Wallsauce.com, a mural provider who offer wall murals that uses backgrounds and artwork assets from major sporting, movie, gaming, and entertainment brands – including Chelsea FC. There are 12 Chelsea FC murals to choose from and one lucky Chelsea Daft reader in the UK will win one of these worth £200! 1) Leave a comment on this blog post with your score prediction for the Stoke City game on Monday 22nd December. 2) Take a look at the range of Chelsea FC wall murals and Tweet @Wallsaucecom telling them which one you’d choose. We’re using Rafflecopter to track your entries so be sure to click the following link to register your entries - CLICK HERE! . The competition closes at 8pm on Monday 22nd December 2014 and is only open to UK residents. The winner will be selected at random on Tuesday 23rd December.